My friends became a victim of having the hacker asked them funds in my name. – I have also recovered my personal facebook as well. I have deactivated MXR twitter, tho. 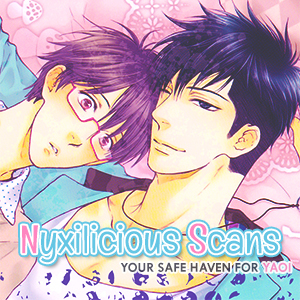 – I’m trying to recover mxr.scans@gmail.com account but I have to wait for 3-5 days. – I don’t have access to my tumblr account so IDK who’s that reblogging posts under MXR. — apparently, it was Fuwacchi who was reblogging stuff about the hacker posts to MXR tumblr. – I have emailed Tumblr support about the hacked account so hopefully they reply quick. – I made a new Tumblr account under the same username as my twitter. PLEASE FOLLOW MY TWITTER FOR UPDATES! THANK YOU AND I’M SORRY! oh my gosh, please don’t apologize because you are the victim here! I’m so sorry you have had this trouble, and am glad you are getting a handle on it.